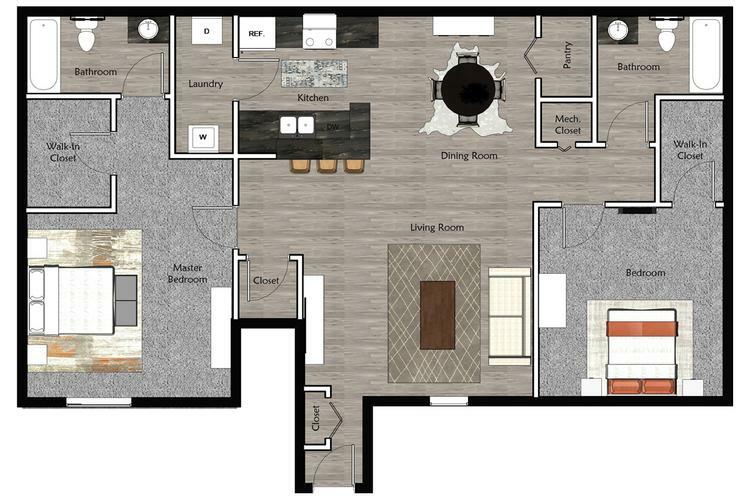 Our two bedroom two bathroom floor plan is a roommate’s dream! This apartment for rent in Grand Blanc, MI offer privacy with each bedroom and personal bathroom on opposites sides of the apartment. The fully applianced kitchens come complete with a full-size refrigerator, stove, dishwasher and plenty of cabinet and counter space as well as walk-in closets. The breakfast bar and open concept living area is great for entertaining guests!